I found myself almost cheering out loud as I listened to this wonderful interview, especially at the point where Hans lets it be known that he has NO COMMERCIAL HAM GEAR in his shack! Yes! That's the ticket! You can also hear the story of Hans and Farhan meeting up in Mumbai for dinner. 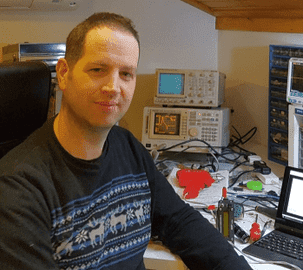 The interview includes discussion of WSPR and QRSS and BITX and crystal ovens and, at the end, a special QSO TODAY overtime session in which Hans describes the little WSPR rigs that fly around the world, carried aloft by half-filled birthday party balloons. Thanks to Eric 4Z1UG and Hans G0UPL for this very nice Christmas present. Great Homebrew Interview on "QSO Today"